Come meet running legend Bill Rodgers - American runner, olympian, former American marathon record holder - and friend of Fleet Feet! 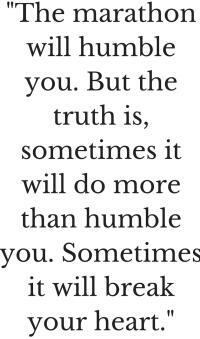 Bill won the Boston Marathon four times between 1975-1980, breaking the American record in 1979 with a time of 2:09:27. 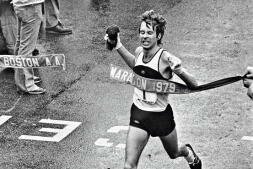 Bill won the New York City Marathon four years straight (1976-1979). 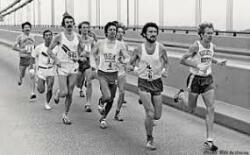 Affectionately known as "Boston Billy," Rodgers has run 59 marathons - 28 of which were 2:15 or faster. He has won a total of 22 marathons. 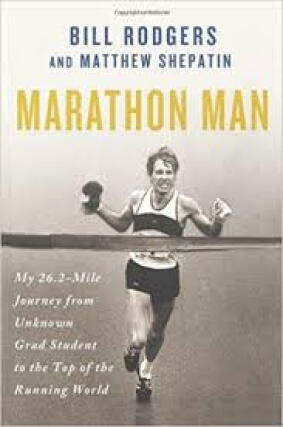 Rodgers' book, Marathon Man, is available for sale for $28 and his Boston Marathon poster, "Relentless", is available for sale for $20. He'll be signing until 5:00 pm and then will head over to the dedication of the Tom Fleming Sports Complex at Brookdale Park in memoriam of his dear friend.